"If the point of life is the journey, travel it via Dharma Road. It's accessible, amusing and wise, with a few surprising forks along the way." Brian Haycock was a cabdriver--who happened to be a Buddhist. 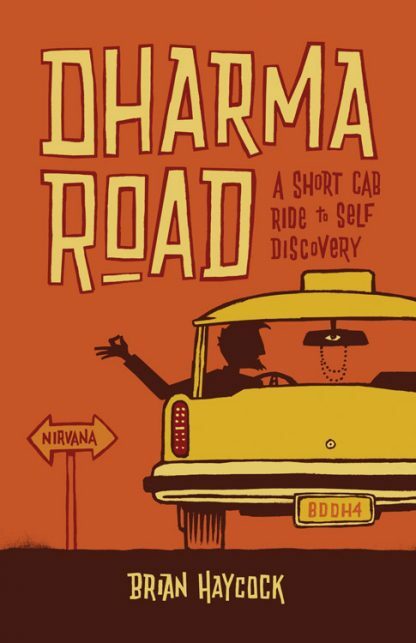 During the course of his career as a cabdriver, he learned that each fare provided an opportunity to learn the life lessons of the Buddha. So, hop in and buckle up; we�ll be making several stops on this trip. We�re off on our journey to self-discovery, passing through the precepts, the four noble truths, taking a hard left to stop and get coffee--where we�ll learn a few breathing techniques to bolster our patience�all the while watching for ambulances and bikers, focusing our attention and awareness so that we can arrive at our destination in good time and in one piece. Here are stories from everyday life that demonstrate how we can all benefit from a little Buddhist philosophy or practice. With each chapter focusing on a specific topic, readers will learn to coast their way to building a life routine, focusing the mind, calming themselves with breathing exercises, and much much more. Brian Haycock is a writer and former cab driver residing in Austin, TX. He currently works for a non-profit and secretly misses driving a cab. This is his first book.